When you’ve tried every possible treatment, yet you continue to suffer from severe chronic back or neck pain, you still have hope for effective pain relief with a therapy called spinal cord stimulation. 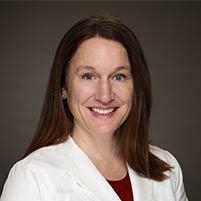 Dr. Carrie Shulman at The Florida Center for Minimally Invasive Neurosurgery specializes in surgery to implant a small medical device that blocks pain-causing nerve signals. To learn whether you’re a good candidate, call the office in Clearwater, Tampa Bay, Florida, or book an appointment online. What are the common causes of spine pain? How does spinal cord stimulation relieve pain? Spinal cord stimulation uses a medical device to relieve chronic pain. It doesn’t treat the cause of your pain, but it alleviates pain by masking pain signals. When you activate the stimulator, it carries a mild electric current to nerves in your spine that are responsible for sending pain signals to your brain. Nerves signals aren’t interpreted as pain until they get to your brain. Since the electric current from the stimulator blocks the nerve signals, they don’t reach your brain. As a result, you won’t feel the pain, even though its source still exists. How is the spinal cord stimulator (SCS) device implanted? The SCS device consists of a small pulse generator, a lead wire with 8-32 electrodes that deliver electrical pulses, and a handheld remote control. You use the remote control to adjust the settings and turn the SCS device on and off. Dr. Shulman surgically implants the tiny pulse-generating device under your skin, running the lead wire to your spine, then placing the electrodes over the nerves responsible for your pain. If you’re a good candidate for SCS, you’ll undergo a trial period before the generator is surgically placed under your skin. For the trial, Dr. Shulman inserts the lead wire but you wear the generator on your waist. This gives you the opportunity to determine whether spinal stimulation works. Are you a good candidate for spinal cord stimulation? Dr. Shulman evaluates your physical condition, medications, and pain history to determine whether spinal cord stimulation is a good option for you. If you suffer from chronic pain, call The Florida Center for Minimally Invasive Neurosurgery or book an appointment online.